I studied at the University of Canterbury, graduating in 1965 with a Diploma of Fine Arts in painting. In 1977, I moved to Coromandel with my two daughters and spent 6 years working with Barry Brickell at Driving Creek. During this time, I concentrated mainly on handbuilt and sculptural work. A move to Auckland for my daughters' further education, gave me the opportunity to do a Post Graduate year at Auckland College of Education, gaining a Diploma of Teaching in 1985. 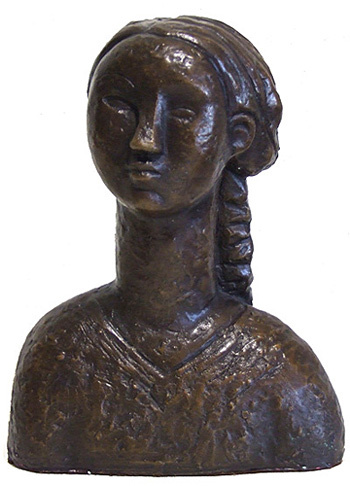 The following years have been spent teaching, travelling and working as a sculptor and painter. I have taught art at Auckland Girls Grammar School and at Michael Park School in Auckland and Raphael House, Rudolf Steiner School in Wellington. My abstract painting attempts to explore colour as a metaphor for other realities. I am interested in the way colours move in space within the compositional context with their relationships sensed almost musically with each shift and nuance of tone and colour being critical in determining the thematic colour and balance of the whole. Throughout this time, I have also worked more figuratively, particularly on portraits. 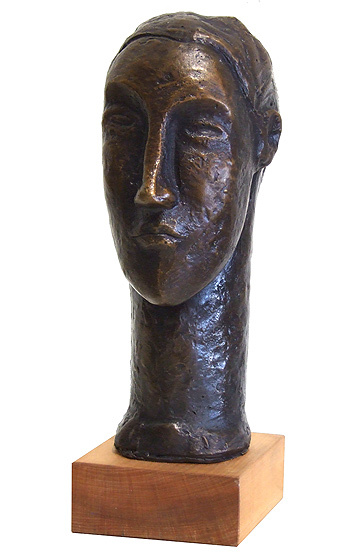 The impulse for this series of bronzes came from my love of Modigliani's work, particularly his painting. I admire the lyrical simplicity and elegance of his style. They appear understated and restrained, but the subtlety and compositional balance is always breathtaking. 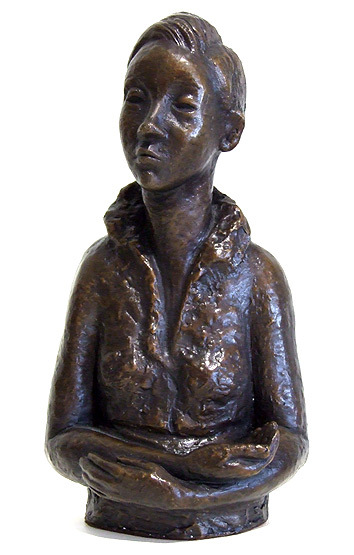 The figures were modelled in clay and then cast into rubber molds. From there, the wax is poured and finally the bronze, as in the traditional “lost wax” process. From there, the sprues and runners are ground off and then comes the work of finishing, hours of grinding and polishing. The final patination is sprayed on in the form of various chemicals as the work is heated with a blow torch. This gives the warm brown of the finished piece. These were all cast at Art Works in New Lynn and represent a limited edition of seven.